Published by Churchill Livingstone/Elsevier, Edinburgh, 2010. 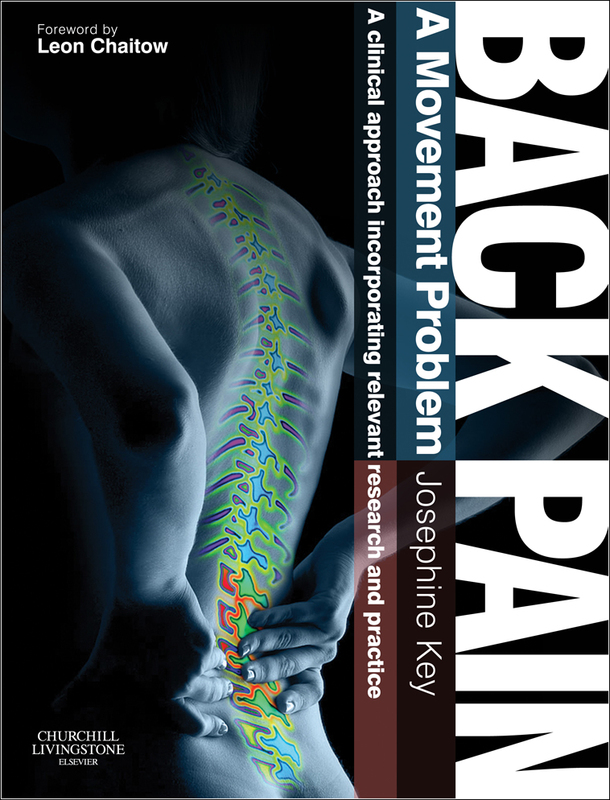 Back Pain: a movement problem is a practical manual to assist all students and clinicians concerned with the evaluation, diagnosis and management of the movement related problems seen in those with spinal pain disorders. It offers an integrative model of posturo-movement dysfunction which describes the more commonly observed features and related key patterns of altered control. This serves as a framework, guiding the practitioner’s assessment of the individual patient. Australian & New Zealand Orders: Order direct from publisher Elsevier Australia and quote code BACKPAIN when ordering online to receive 15% discount and FREE delivery (with ANZ only). "Great book": "I am deeply impressed how much you covered and also how well and how clearly you are covering all these different aspects. Definitely the best book I have seen so far on low back pain - particularly for us clinicians. Congratulations!" "A must read for Yoga Therapy": "This is a great book for anyone who teaches any form of movement therapy. Key's wide breadth of research incorporates physiotherapy, yoga, Feldenkrais, manual therapy, developmental movement patterns, somatics etc, but she grounds her approach in her own clinical experience. Key is a physiotherapist who understands the yogic approach to posture and movement. Her clear exploration of global versus local muscles, her dynamic approach to core stability, and her outline of the fundamental pelvic patterns were particularly valuable. As a therapeutic yoga teacher and a teacher of anatomy for yoga teachers I have found the book to be very clear, practical and accessible. I would recommend it to anyone who wants to teach yoga safely and therapeutically."